At Westmoreland Mechanical Testing & Research, Inc. we strive for continual improvement in our materials, mechanical, analytical, and technical capabilities to provide our customers with the best analytical solutions possible. Because of our philosophy of excellence, we continually seek opportunities to expand our working partnerships to improve our operational capacity, industry knowledge, and intellectual footprint as part of our ongoing strategy to become the most trusted resource in testing and research. 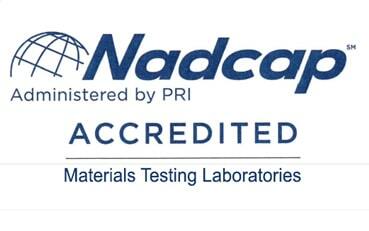 Westmoreland Mechanical Testing & Research, Inc. (WMT&R), continues to be at the forefront of materials testing, additive manufacturing (AM), and 3D printing (3DP) research by becoming a member of America Makes, the National Additive Manufacturing Innovation Institute. America Makes is the nation’s leading and collaborative partner in AM and 3DP technology research, discovery, creation, and innovation and is dedicated to evolving a shared vision of accelerating AM and 3DP into mainstream manufacturing. The Aluminum Association, Inc. is the trade association for producers of primary aluminum, recyclers and semi-fabricated aluminum products, as well as suppliers to the industry. Based in Washington, D.C., with offices in Detroit, Michigan, the Association provides leadership to the industry through its programs and services which aim to enhance aluminum's position in a world of proliferating materials, increase its use as the material of choice, remove impediments to its fullest use, and assist in achieving the industry's environmental, societal, and economic objectives. Member companies operate about 200 plants in the U.S. and many conduct business worldwide. "The Aluminum Association advances its members' interests through aligning its actions and services with a changing global business environment." 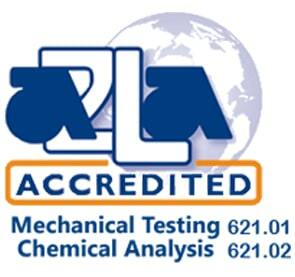 September 27, 2002, Lexington, KY- Westmoreland Mechanical Testing & Research, Inc., Youngstown, PA and Secat, Inc., Lexington, KY have signed an agreement to cooperate in the areas of specialized testing and metallurgical analysis for aluminum-based materials. This agreement establishes a basis of cooperation for Westmoreland to increase its ability to support its customer's needs for enhanced capability in interpretation of test results utilizing aluminum metallurgy and process knowledge, while providing Secat with increased technical capability in the area of specialty testing and analysis to serve current and potential customers more effectively. Westmoreland Mechanical Testing & Research, Inc. is a leader in testing of a wide range of materials for aerospace and other markets, with a significant capability in both routine and specialized testing of aluminum-based materials. James D. Rossi, WMT&R Vice President, commented that "Through the formation of this joint effort, utilizing both Secat's and Westmoreland's extensive specialized capabilities, we look forward to providing a unique resource for the advancement of the aluminum industry." Westmoreland Mechanical Testing & Research, Inc. has joined over one hundred companies globally and over two thousand representatives in becoming a member of the International Titanium Association. The association is comprised of producers, users, and distributors of titanium products. The ITA sponsors seminars, workshops, committee meetings, and educational programs related to important titanium industry issues. The Association is dedicated to developing new application uses of titanium, protecting and enhancing existing markets, and providing continuing education to current and potential users of titanium. Westmoreland Mechanical Testing & Research, Inc. is an Alliance Partner of the National Center for Defense Manufacturing & Machining. The NCDMM is a Government sponsored Manufacturing Technology Center established to address and support the broad manufacturing and machining needs of the U.S. Department of Defense and its Suppliers.